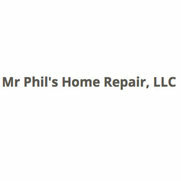 Mr. Phil's Home Repair - if its in your house I can fix it!! We are here to help you with your creative home improvement needs. With over 26 years of on the job experience you can rest assured that each and every job that I do for you is done correctly each and every time. I take pride in my work, and I enjoy creative solutions to help people. I like building things people find on Pinterest, custom decorating, fairy lights, teen rooms, sheds, man cave designs, rustic, colonial, historic, or old fashioned decor and remodeling. I have done Garage organization, haul away, large item recycling, custom lighting, shelving, electrical and plumbing projects. I have a journeyman plumbing license. I was a plumber for over 20 years, doing service and repair of fixtures, tubs, toilets, sinks, outdoor bibs, kitchen sink and related plumbing. I have worked on all kinds of unique projects, and sometimes know how to do things no one else can do. I have full liability insurance, Have an awesome day. Mr Phil.